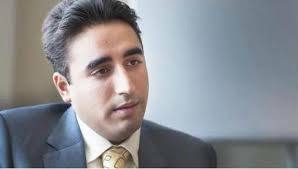 HYDERABAD: Pakistan People’s Party (PPP) Chairman Bilawal Bhutto Zardari said Sunday that the Sindh government headed by the PPP is trying to provide modern healthcare facilities to all citizens in the province. Speaking as a chief guest at the inauguration ceremony of National Institute of Cardiovascular Diseases’ (NICVD) Satellite Centre at Liaquat University Hospital. On the occasion, Bilawal praised the Sindh government’s performance in the health sector. “With the aim to provide best cardiac care facilities to the people, the Sindh government has so far opened three satellite centres of NICVD in Larkana, Tando Muhammad Khan and Hyderabad, while two more centres in Sukkur and Sehwan will be started soon,” he informed. Bilawal said that the NICVD’s centres would provide free health services to patients, while adding that even the poor people who could not afford expensive cardiac health services would avail those facilities. Quoting the centre’s officials, he informed that the angioplasty, adult and pediatric cardiology, bypass surgery, echo-cardiograph, diagnosis and consulting services would be offered in Hyderabad. “These health services until recently were available to only some well-off people,” he observed. Bilawal congratulated Sindh Chief Minister Syed Murad Ali Shah, Health Minister Dr Sikandar Mandhro and NICVD Director Dr Nadeem Qamar and his team for establishing the satellite centres. He said that NICVD was South Asia’s largest health service provider at the moment. The PPP chairman also acknowledged and praised the services of Dr Adeeb Rizvi’s Sindh Institute of Urology and Transplant (SIUT) and said that an SIUT’s centre was also being established in Sukkur district. He also appreciated the services of Gambat Institute of Medical Sciences in Khairpur district, saying that the hospital was providing free kidney and liver transplant services in a small rural town of Sindh. “People of Sindh and Pakistan are benefiting from these hospitals. By establishing these hospitals, we have proved that we are connecting the hearts of the whole nation,” he observed. However, the PPP chairman lamented that his family’s hearts were broken when Zulfiqar Ali Bhutto, Benazir Bhutto and his uncles were killed for their political ideology. “Like my elders, I will give preference to the people,” he said. Bilawal also gave the example of another health facility which was providing free treatment to cancer patients at Jinnah Postgraduate Medical Centre in Karachi. According to him, there were only 250 cyber knife machines in the world and Sindh was the only province in Pakistan which not only offered that crucial health service for cancer patients, but also offered it for free. On the global level a cyber knife surgery cost between $50,000 to $60,000, he said. He asked the people to judge the political parties on the basis of service and development works carried out during the last five years. “PTI says they have planted trees which no one has seen. The PPP has built hospitals instead,” he said, while adding that the people would have to decide whether they wanted the dried-up trees or better health facilities. Earlier, Murad Ali Shah requested Bilawal to accept the proposal of changing the name of NICVD to Sindh Institute of Cardiovascular Diseases. He informed that NICVD Sukkur would be inaugurated on January 7 next year, and he sought time from Bilawal for inaugurating NICVD Sehwan which was nearing completion. “We want to provide cardiac facilities in all districts of Sindh. Although we aspire to provide them at tehsil level, but a shortage of doctors is not allowing us to do so,” the chief minister said. Dr Sikandar Mandhro, Local Government Minister Jam Khan Shoro and NICVD Director Dr Nadeem Qamar attended the ceremony.